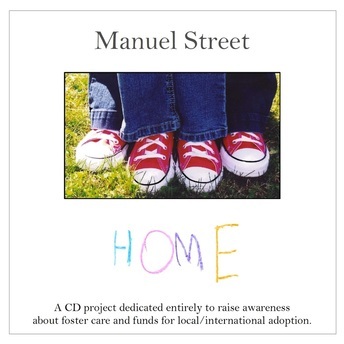 This is a CD with a theme about foster care and adoption. Foster care can be very rewarding, challenging, and at the same time very painful. A little girl came into our lives and stayed for only a small amount of time but made an impression that will last forever. Although foster care may be difficult at times, it is something that is needed and is very beneficial to a child in transition or in need of a temporary place to stay. There are far more rewards than challenges, by far. This CD can be described as acoustic with a beat. There is a mixture of worship songs and songs of bible stories such as the prodigal son, the rich young ruler, John 3:16 and Psalm 23. The song Still Waters is taken from Psalm 23 is my first harmonica song and is one of the most requested songs that I play. There is a full band version and also an acoustic version as well as other bonus songs. I like a variety of music. This CD is a collection of Southern Gospel/Bluegrass songs. A few songs could even be considered "Bluegrass with a kick." There is also a southern version of Still Waters and Don't Follow the Crowd. I had help from some great local musicians. Some of the instruments you will hear are guitar, harmonica, banjo, fiddle, dobro, piano, and even the mountain dulcimer. But the main reason I wrote the songs and recorded this CD was to share the song written about my grandfather called "Won't You Come"